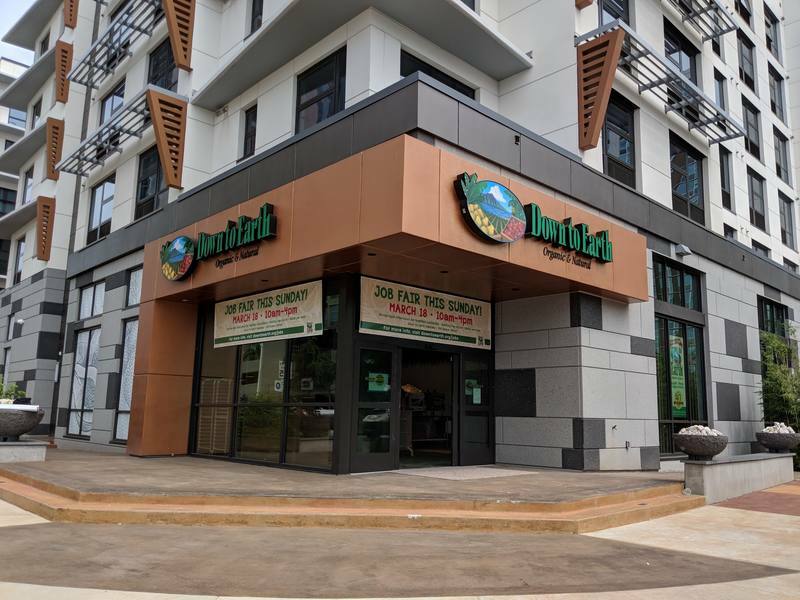 Honolulu (March 14, 2018) — Down to Earth Organic & Natural will hold a job fair for its new 13,000 square foot Kakaako location on Sunday March 18th from 10:00 am to 4:00 pm. Down to Earth will be interviewing for cashiers, cooks, bakers, dishwashers, and store and deli clerks. Starting pay per hour ranges from $12 to $16 plus competitive benefits. The job fair will be held at Down to Earth’s Kakaako store on the ground floor of Keauhou Lane at the corner of Keawe and Pohukaina Streets., just a few blocks mauka of SALT at Our Kaka‘ako cultural center. The Kakaako store will open in mid-April. Down to Earth is an independent natural food store chain that employs over 250 team members at five locations in Hawaii: Honolulu, Kailua, Pearlridge, and Kapolei on Oahu; and Kahului on Maui. 2017 was the tenth year in a row that Down to Earth has won the Star-Advertiser’s 2016 People’s Choice Award for Best Health Food Store.